“We write to you today from the groves and vegetable fields of the South”. Urgent appeal by Coalition of Immokalee Workers for Times Up Now to..
Last week we flew to Los Angeles to celebrate the incredible work of the Creative Visions Foundation, and were so touched to receive one of the two 2014 Dan Eldon Creative Activist Awards. The award reception took place during our TURN ON LA event on October 2nd, 2014 at the Fairmont Hotel in Santa Monica. 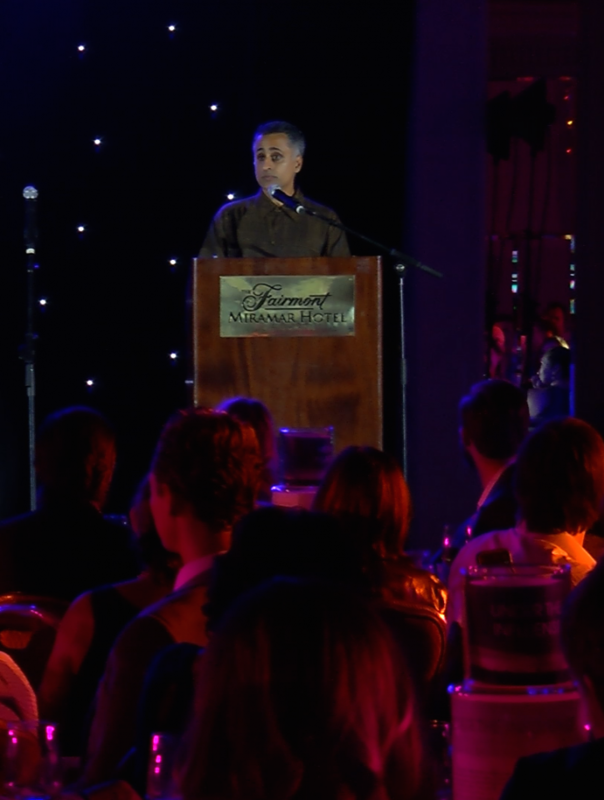 Director Sanjay Rawal accepted the Creative Artist Award long with fellow recipients journalist Dr. Sanjay Gupta, renown activist Malala Yousafzai, and fellow filmmaker, Lekha Singh (Beyond Right & Wrong) who received her award from presenter Kweku Mandela. Check out the phot0s below and on our Facebook page. 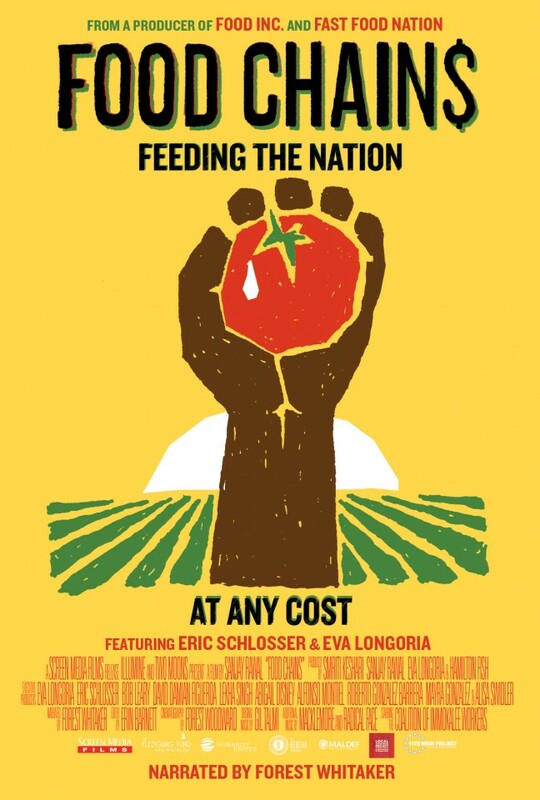 The national theatrical release of Food Chains on November 21, 2014 offers us the chance to bring national attention to this issue through both the film’s public relations and media coverage, as well as the impact campaign. There will also be opportunities to link policy makers, advocates, and voters through community discussions that address the issues raised in the film, and engage them to take action. Your participation is key in helping Food Chains reach as wide an audience as possible as well as connecting with the right audiences and decision makers to create change. Its also an incredible tool to raise awareness for your work. 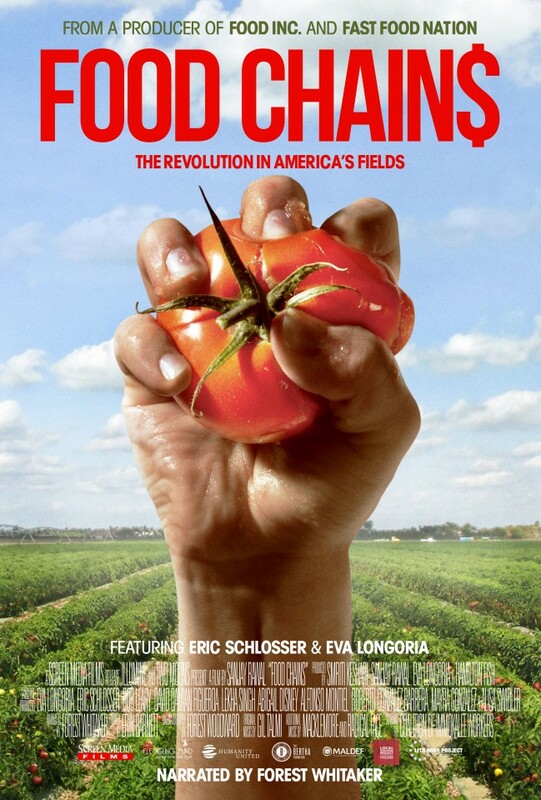 September 26, 2014 – Food Chains, a new expose about America’s farmworkers and the solution to their abuse (The Fair Food Program), wcelebrates its theatrical release on November 21st in 25+ U.S. cities nationwide, and digitally on iTunes, distributed by Screen Media, on November 21, 2014. It will be released on VOD starting November 27, Thanksgiving Day, and in a Spanish language version. On September 21st, Food Chains stars and CIW co-founders Lucas Benitez and Greg Asbed accepted the Clinton Foundation’s Global Citizen award on behalf of all of the CIW members. We’re excited to welcome Screen Media to the Food Chains family. They will be setting up the US distribution. 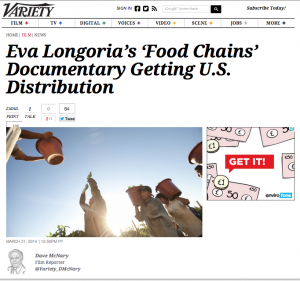 Eva Longoria Produced Documentary ‘Food Chains’ Asks Who Picks The Food?